Major shuffle in release dates? 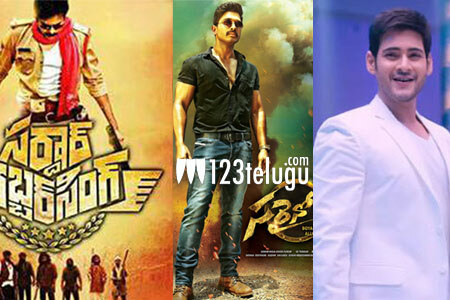 As expected, a major reshuffle in release dates maybe in the offing for big budget Telugu films this summer. This is a common occurrence every year and this year seems no different. Pawan Kalyan’s Sardaar Gabbar Singh is the main reason for this. While the official date of the film is April 8th, sources say that the movie may come on the 14th only. This is an unconfirmed report. But if the news is true, it will play havoc with other release dates. The immediate effect will be on Allu Arjun and his Sarrainodu. The movie is being planned for April 22nd but It may shift to 29th if SGS moves to 14th. This will in turn affect Supreme, A.. Aa and Brahmotsavam.